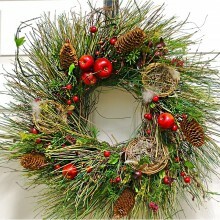 This wreath is a nice blend of dried and preserved lemon leaf adorned with pinecones, ..
A nice blend of Faux and natural components make up this wreath using huckleberry twig.. 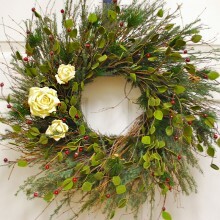 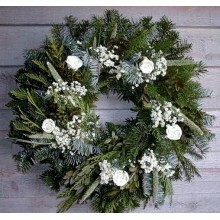 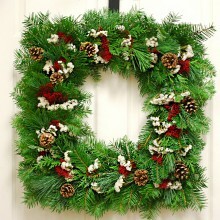 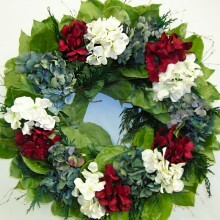 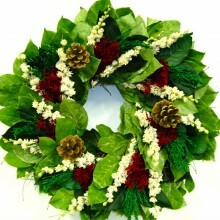 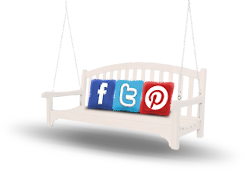 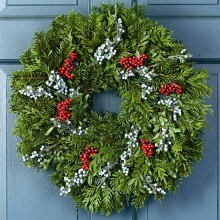 Hang this wreath in your home or outside for many Christmases to come. 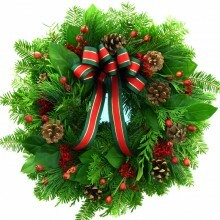 It is delightfu.. 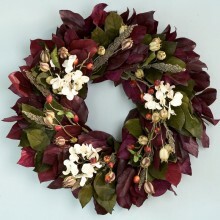 This full and lush dried floral wreath will last year after year. 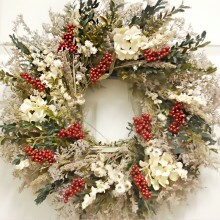 White larkspur..